How do you feel about making decisions? If you’re like most people, some are probably easy and require little thought, while others may feel so big and heavy that making a choice feels like an Olympic event. While we never claim to have the answers, it is our hope that this series of bliss will cause you to pause and consider your process and maybe even give you a helpful way to think about things. Please feel free to weigh in; we love comments. We’ve said it before and we’ll say it again: You are capable, creative, resourceful, and whole. 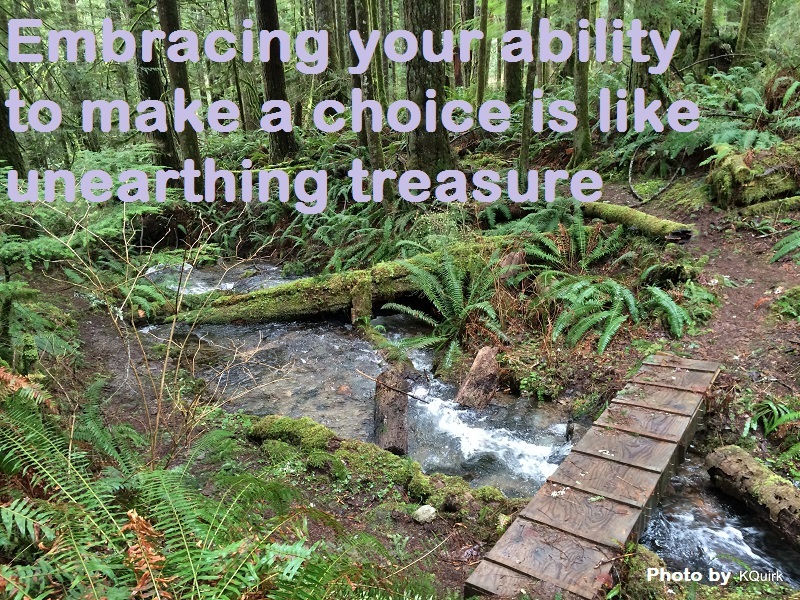 Embracing your ability to make a choice is like unearthing treasure; you get to discover all of the gems you are made of, one decision at a time.